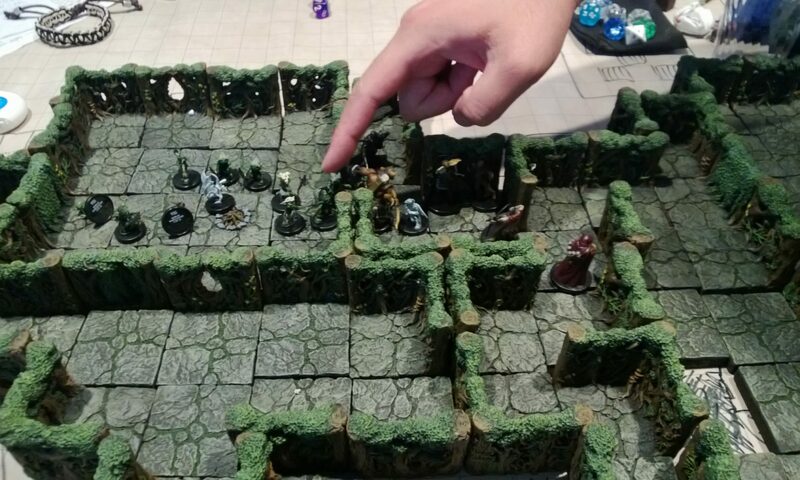 The d20 system base that is at the heart of D&D – the most popular role-playing game. There’s a lot of things that I like about the d20 system – the amount of granularity makes it so that there can be a LOT of customization for how a character is portrayed. I’ve had a lot of fun playing and (mostly) running it, from 3.0 to 3.5, Modern, Star Wars Saga, Pathfinder, and numerous other incarnations. Still, there were things that bothered me about it, and so I’ve tinkered with it in multiple ways over the years. Many of these changes I started implementing since my D&D 3.0 campaign the “Frozen North”. With my home group deciding to start a campaign of Rise of the Runelords, I decided to codify them, and throw in all of the house rules that I’ve been using, as well as the ones I’d been planning and working on. For those that are interested, here are the major changes that I am utilizing (with numerous small changes besides)! Maintain as much compatability with the base rules as possible. This allows the use of as much published material as possible without heavy conversion. As time is the scarcest resource for me now, this is a major consideration. Return to a grittier, deadlier feel for the d20 system. With a d20 roll and bonus that range from +1 to +10 (at even fairly low levels), the game can be quite “swingy” with skill not playing much of a roll. The standard roll is NOT a d20! (Yes, for a d20 system, this is huge!). Instead, all d20 mechanic rolls utilize 2d12 instead of a d20 (ie. not including things like random encounters, etc). I like a bell curve much more than the linear one of a single die. 2d12 probabilities are located here. I like 12-siders… just cool looking, well balanced, and fun to roll. These are my favorite dice. Also a d12 is a true polyhedral unlike a d10. The probabilities at the higher end (15+) match closer to 2d12. The effect is low DC tasks are easier to accomplish, and high DC tasks are about the same. Base numbers for opposed rolls are not a fixed 10, but 2d12. In melee, the defender is also active in rolling. A base AC is no longer fixed at 10, but an opposed roll from the defender of 2d12 as well. Degrees of success improve the outcome. For every 10 above the needed target number, there is another “level” of success. In combat, that means for every level of success, there is additional damage dealt equal to the base weapon damage (ie. 10 above needed number with a longsword does 2d8 + modifiers.) Damage from these additional levels of success are not multiplied in a successful critical hit. Medium sized hit point modifier is 1. Small is 0.5. Large is 2, Huge is 4, Gargantuan is 8. This makes large creatures much tougher. Death and Dying. Death does not occur at -10 hp. At 0 hp or below, a character is staggered. At the start of the character’s initiative, a roll is required to see if the character can stay concious. This is a Fort or Will save vs. DC 2d12 – note, the hp penalty applies to this roll! In most D&D 3.x games, death of a PC is not a major hinderance, if anything, is is more of a monetary penalty than anything else. As such, I wanted to have a gradation of that. At negative hp equal to Con score, 1d6 ability scores are damaged by 1 point. In addition, at negative hp equal to twice Con score, gain 1 temporary negative level (daily save Fort vs DC 2d12). In addition, at negative hp equal to 3x Con score, 1d6 ability scores are drained 1 point (needs restoration spell). In addition, at negative hp equal to 4x Con score, gain 1 permanent negative level (needs restoration spell). In addition, at negative hp equal to 5x Con score, death. Attacks and defense are related. Will use a dice pool mechanic: Instead of standard 2d12 for attack and 2d12 for defense, a character may allocate 4d12 between attack and defense. This decision persists until the character’s next attack. If more than 2d12 used for attack, two of the dice are designated as the primary attack dice, and used to determine if an attack is a crit. There is no chance of a crit if only attacking with 1d12. Defense: Facing of characters matter. All defense dice can be used for each attack coming from the front facing. All defense dice minus 1 are used for attacks coming from the flanks. A shield’s defense bonus can be used against attacks coming from the shield’s side. All defense dice minus 2 are used for attacks coming from the rear. A shield cannot be used against rear attacks. An unaware defender (ie. attacker successfully snuck up) gets no dice, nor Dex nor shield bonus against an attack. Armor grants DR equal to the AC against physical attacks. An attacker can attemp to bypass the armor DR by attacking at a penalty equal to the DR (ie. armor works as AC modifier like standard d20). Humans: Humans are to be the majority of the races in the world, so I wanted a compelling reason for players to choose playing them. The Hero Points rule will be used. PCs gain one Hero Point per level gained while playing the PC (a new PC who joins in the game at level 5 only has one Hero Point).